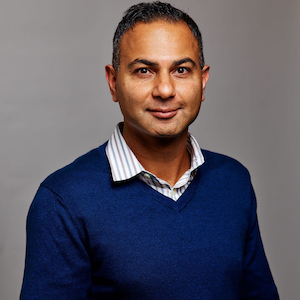 Junaid co-designed, developed, and is currently managing at Bing, the Microsoft’s web data and knowledge stack. Junaid leads the team crawling, processing and indexing at Bing, dealing with the hundreds of billions of new or updated web pages every day. This platform powers Bing, Cortana and all Microsoft products which depend on understanding of the web, consisting of the core data sets and the associated AI which translates raw data to deep knowledge. Amy Balliett has been using digital media to grow her own companies since she was 17, when she took on ownership of an arcade/penny candy store, a venture that paid her way through college. She subsequently built a successful career in SEO and marketing before utilizing both her entrepreneurial spirit and her inner artist to team up with Nick Grant and co-found Killer Infographics, a firm leading the way in visual communication for some of the world's largest brands. As CEO, co-founder and Chief Swiss Army Knife of Killer Infographics, Balliett's roles include new product development, marketing, and speaking at such events as Adobe MAX and SXSW V2V. Pulling from her past and present digital strategies, she now enables clients worldwide to use visual communication in order to grow their brands, connect with customers, and design multi-faceted campaigns that harness the full potential of visual content. Robert is a PPC wizard and conversion optimization extraordinaire. He has worked on PPC accounts of all sizes across many industries and has a soft spot for helping small businesses succeed with paid search. Robert also loves to share his expertise with others by blogging regularly on PPC topics on the Clix Marketing blog, Search Engine People & his personal blog, Righteous Marketing. You'll also find his posts on SmallBizTrends.com, PPC Hero, 3QDigital.com and PracticalEcommerce.com among others. He is also an active participant in #PPCchat on Twitter. With over 10 years of experience in SEO and digital marketing, Sharon Conner is passionate about helping big brands succeed in organic search. At Autodesk, she leads a team of SEOs and analysts that drive organic strategy and conversion rate optimization. She owns global SEO strategy for key products, including AutoCAD, Maya, 3ds Max, Inventor, and Fusion 360. She and her team also lead technical SEO for over 38 international eCommerce websites. In 2019, one of her primary focuses will be developing data science skills within her team to enhance data-driven decision making. Sharon and her family live in California with their two German Shepherds. In her spare time, Sharon enjoys CrossFit, boxing, and coaching youth soccer. Dave Davies is the CEO of Beanstalk Internet Marketing. Dave and his wife Mary started Beanstalk in 2004 and have grown it from a purely organic SEO firm to one offering a full range of services including SEO, SEM, social media and training and consulting. 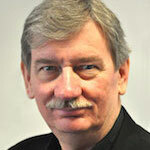 Dave is a regular author on Search Engine Land, the Beanstalk blog as well as other industry publications. 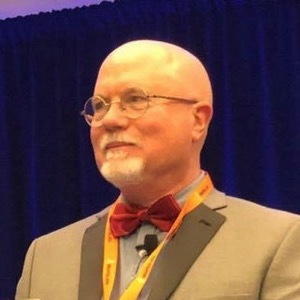 He also hosts a weekly radio show on WebmasterRadio.fm and has spoken at a number conferences over the years from SMX Advanced all the way across the pond to SMX London. With over 15 years of experience in internet marketing Dave has seen a lot of SEO strategies come and go but never has there been more rapid evolution that since the introduction of machine learning into the search algorithms. Beanstalk Internet Marketing has been offering SEO and PPC services since 2004. They are also pleased to offer consulting, training and link building services as well as paid search management. Keeping up with the latest trends and learning from experience which are likely to bare fruit, Beanstalk helps steer client in the directions that will produce the highest ROI for their business. 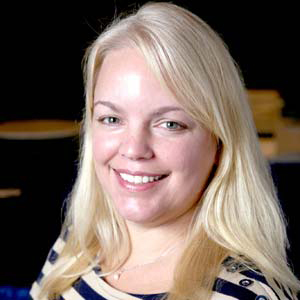 Cara deBeer is a Paid Search Director at Catalyst. Based in Catalyst’s Boston office, she has over 12 years of experience in the search marketing industry. Cara has worked on the both agency side and client side with some of the largest and best known brands in the world. She has run managed paid search campaigns across a wide of verticals, ranging from legal (most expensive CPCs in the industry, $300+) to tech to CPG and pharma. In addition to paid search, Cara also has SEO and paid social experience. Dana DiTomaso, President & Partner Kick Point Inc.
President & Partner, Kick Point Inc. I wear many hats, but my favorite hat is helping grow and nurture the SS Digital team and partners. I am one of three partners at my integrated digital marketing and advertising agency in Michigan. I lead our top accounts in communicating client visions, developing specific, measurable campaign objectives and establishing integrated marketing plans. I also enjoy educating others through speaking engagements and workshops. Upasna, more commonly referred to as Pas, is the Manager of SEO at Ziff Davis, where she architects and executes the organic search strategies for Mashable and PCMag. Holding a degree in Biomedical Laboratory Diagnostics from Michigan State University, she started her career as a Research Scientist, but her love for data drew her into the field of SEO several years ago. Pas' expertise within the search discipline is in technical search as they apply to crafting holistic strategies that encompass the entire digital ecosystem. 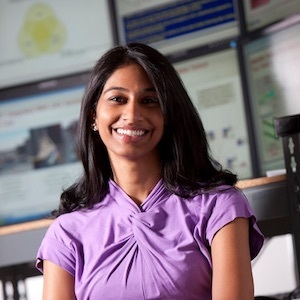 Most recently, she' working on machine learning to build a predictive analysis product to more accurately define consumer behaviors and need states throughout the path-to-purchase cycle. By combining her love for data science and organic search, Upasna works to increase web visibility and authority while maintaining brand integrity to drive greater conversion for her clients. Prior to Mashable and PCMag, Pas has worked on building and executing the search strategies for brands including Ford Motor Company, Valvoline, Mars, Mars Petcare brands, Intel, American Eurocopter, Banfield Pet Hospitals, Dave and Busters, Dr Pepper Snapple Group, Kimberly-Clark, Kroger, Daltile, MetroPCS, Domino's Pizza, and Unilever. Pas' unique experience in mathematics, science and search has allowed her to bring a truly logical and analytical approach to digital marketing. Her greatest strength is in the ability to process a complex topic, distill it down to the simplest form, and translate it so it can be understood by anyone. Kristopher B. Jones is a veteran digital marketer, entrepreneur, and best-selling author. Kris was the founder and former CEO of digital marketing and affiliate network Pepperjam, which he sold to eBay Enterprise in 2009. Kris has founded numerous start-ups, including APPEK Mobile Apps, French Girls App, ReferLocal, Special Guest App, and LSEO.com. LSEO is an award winning SEO and digital marketing company recognized for several consecutive years as a top SEO and PPC agency. In 2008 Kris wrote "SEO Visual Blueprint" for Wiley Publishing - the book is in its 3rd edition and has sold over 100,000 copies. LSEO works with medium to large enterprise and publicly traded companies to scale technical SEO, link building, and paid digital marketing. Marco leads the North American Global Partnerships team for the Google Assistant. Marco is also the Global Lead for Partner Discovery, helping developers succeed throughout their journey on the Assistant. Prior to joining the Assistant Team, Marco spent more than 6 years at Google leading the Business Development and Emerging Market Teams across 3 continents and more than 20 countries building monetization partnerships with large web publishers and app developers. Currently a Digital Marketing Manager at Thriftbooks.com where he is manages Paid Search, Affiliates, Social Media & Remarketing efforts. Previously, Seth Meisel was on the in-house Marketing Team for drugstore.com/beauty.com (now a Walgreens company) for 10 years. Sean is a paid media leader at Red Ventures, a full-funnel customer acquisition firm based in North Carolina. Sean is responsible for driving the paid media performance for RV's largest partner and developing his team to excel technically and professionally. Outside of digital marketing execution, his passion is team development. He created and leads the onboarding process for the dozens of new paid media analysts each summer for the last 3 years. Further, he has organized the Training and Development Academy (TADA), a weekly program to improve the technical and business skills of paid media analysts at Red Ventures. Brooke serves as a senior digital manager with over 6 years experience, helping her clients grow their digital strategies using tactics from paid search to social media marketing. With her experience and passion in digital marketing, analytics, and strategic planning, she helps clients deliver relevant customer experiences at every stage of the user funnel. Brooke has been featured in the Search Engine Journal, contributing to the "28 Experts On The Top 2019 PPC Trends" and her client strategy contributed to NordicClick's 2018 US Search Awards for "Best Use of Video in a Search Campaign." When not working, you can find her playing with her corgi and cat, enjoying a round of (novice) golf, or catching up on the latest season of Law & Order SVU. Andrew Ramm is President and General Manager of Alexa.com, the marketing analytics subsidiary of Amazon. He is responsible for building and developing the executive team, establishing the company’s culture, setting overall direction and driving day-to-day decision making. 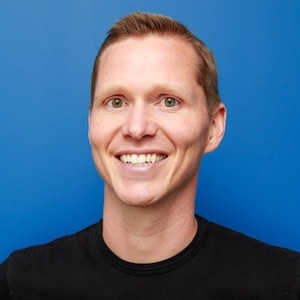 During the past 25 years, Andrew has driven significant growth for some of the most well-known and widely respected product lines in the areas of data analytics, digital design, digital music, VR and video technology – including positions at Avid Technology and Autodesk. With Alexa, Andrew has refocused the business on audience and content analytics, leveraging the company’s 20-year history of big data and machine learning expertise to deliver unique insights to marketers and brand builders trying to connect with and engage a broader user base. An industry speaker, Andrew's most recent talk discussed "Context is King: The Secret Sauce for Data Driven Decisions." 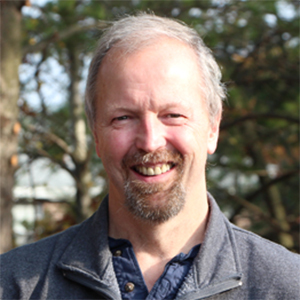 Outside of work, Andrew is an accomplished guitarist and an avid reader of books on astrophysics and quantum mechanics. He lives and works in San Francisco. I am a Senior Program Manager at Bing and am responsible for Content Quality aspects of search. Essentially, my job is to ensure we surface results from high quality websites that help meet our users needs. While at Bing, I also helped launch multi-perspective answers, a feature that informs the user about different points of view related to their query. My professional background spans product management and marketing. I am passionate about technology and its potential to bring positive change. Look forward to a great SMX! With a background in teaching and technology, Damian has focused his career on building innovative products that help businesses large and small get noticed online. His interest in the space has led to writing and speaking engagements with Street Fight, The Local Search Association, Venture Beat, BIA/Kelsey, SMX, Social Media Strategies, State of Search, and others. Damian is VP of Product at Brandify. 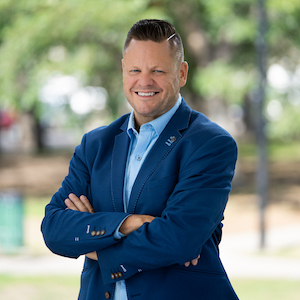 Adam Seybold is an award-winning digital strategist specializing in media planning and buying for large, regional retailers to ecommerce start-ups. Focused on continuing the growth and maturity of digital advertising industry and using the power of the internet to fuel growth for all sized of businesses. Specializing in pay per click advertising (Google Ads, Bing Ads, Facebook Ads, Twitter Advertising, LinkedIn Advertising, Remarketing, Programmatic Display, etc) for clients across multiple verticals. 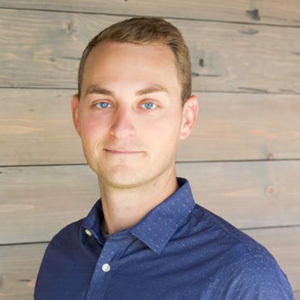 Adam Seybold's knowledge for pay per click tactics that generate real business results has worked for ecommerce, energy, retail, home services, insurance, and financial services clients. In 2018, Adam Seybold was honored to win a Gold KCDMA AMBIT for Paid Search Marketing (PPC) for his work with an ecommerce start-up. The award-winning work that led to the honor was over doubling return on ad spend for the client's same media budget over the course of an entire year. Stephan is an internationally recognized SEO expert and bestselling author. He is the co-author of The Art of SEO, author of Google Power Search and co-author of Social eCommerce, all published by O’Reilly. The Art of SEO, now in its third edition and weighing in at nearly 1000 pages, is considered THE bible on search engine optimization, boasts testimonials from such industry giants as Seth Godin and Tony Hsieh, and is even used as a textbook at universities. Stephan founded Netconcepts in 1995 and grew it into a multi-national SEO agency before selling it in 2010 to paid and organic search software/services agency Covario, which was in turn acquired in 2014 by ad agency conglomerate Dentsu Aegis. Stephan invented a pay-for-performance SEO technology called GravityStream that was also acquired and is now part of Rio SEO. After completing his earn-out in 2010, Stephan continued in the online marketing, ecommerce, and SEO space as a highly sought-after SEO and digital strategy consultant. His clients post-acquisition have included Zappos, Sony Store, Quiksilver, Bed Bath & Beyond, and Chanel, to name a few. Stephan has spoken at countless hundreds of Internet marketing events, including all the major search & e-commerce conferences (SES, SMX, PubCon, Internet Retailer, Shop.org, eTail, etc.). He’s been a contributor to the Huffington Post, Multichannel Merchant, Practical Ecommerce, Search Engine Land, DM News and MarketingProfs, among others. 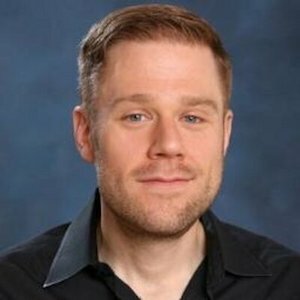 Stephan is also the creator of the three-day SEO seminar Traffic Control, founder of the three-day professional development seminar Passions into Profits, and the host of two highly acclaimed podcast shows, The Optimized Geek and Marketing Speak. Stephan is on the board of Impact Network, a 501c3 nonprofit which builds and operates schools in Zambia. He holds an M.S. in Biochemistry from the University of Wisconsin-Madison. Frederick Vallaeys, CEO Optmyzr, Inc.
Tehsin joins Uberall with more than 10 years of experience in location marketing. Before joining Uberall, Tehsin spent six years in a variety of roles including Sr. Director for ReachLocal's partner channel business, and prior to that, on the corporate strategy team, where he lead key ecosystem and strategic partnerships, including Facebook. Tehsin holds a BA from Indiana University, and an MBA from the Pepperdine University. 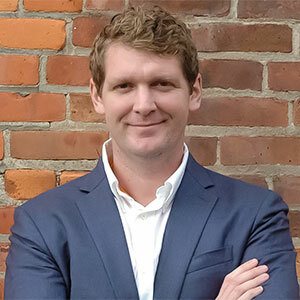 Eric Enge is a general manager of Perficient Digital a full-service, award-winning digital marketing agency. 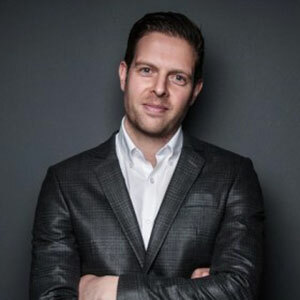 Previously Eric was the founder and CEO of Stone Temple, also an award-winning digital marketing agency, which was acquired by Perficient in July 2018. He is the lead co-author of The Art of SEO, a 900+ page book that's known in the industry as “the bible of SEO.” In 2016, Enge was awarded Search Engine Land's Landy Award for Search Marketer of the Year, and US Search Awards Search Personality of the Year. He is a prolific writer, researcher, teacher and a sought-after keynote speaker and panelist at major industry conferences. His passion for teaching is evidenced through custom training modules that he designs and delivers to executives, laymen and highly technical SEO professionals. In his free time, Eric enjoys playing basketball and drinking wine (but not at the same time). Perficient Digital is a 350+ division of Perficient with a broad, diverse client base that includes Fortune 500 companies. Perficient Digital is a full-service digital marketing agency that provides a broad range of SEO, content marketing, analytics, conversion optimization, and social media marketing services. Ashley's career has been honed in search for over ten years. Starting out agency-side as the Head of Online Marketing at Coast Digital, then to BeatThatQuote.com (bought by Google in 2011) leading their in-house marketing team. At Google, Ashley led the marketing of its finance and insurance comparison products across global markets. Continuing his experience in Product Marketing Ashley moved to Criteo, launching the Predictive Search product, an automated performance solution for Google Shopping in UK, US and France. Now Adthena's VP Marketing, Ashley is responsible for marketing Adthena to a rapidly growing global audience. With an MSc in Global Marketing from the London School of Business and Finance, Ashley is also a graduate of the Google Marketing Academy program at The Wharton School, University of Pennsylvania. Ginny Marvin, Editor-in-Chief Third Door Media, Inc.
Ginny Marvin is Third Door Media's Associate Editor, assisting with the day to day editorial operations across all publications and overseeing paid media coverage. Ginny Marvin writes about paid online marketing topics including paid search, paid social, display and retargeting for Search Engine Land and Marketing Land. With more than 15 years of marketing experience, Ginny has held both in-house and agency management positions. She can be found on Twitter as @ginnymarvin. 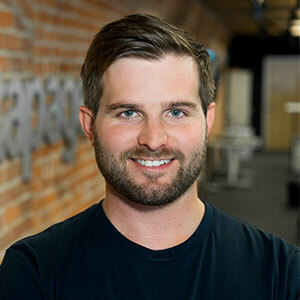 Tyson Quick is a digital marketing and advertising wiz who's addicted to creating amazing user experiences and laser-focused on perfecting the landing page creation and optimization process. As the founder and CEO of Instapage, the post-click optimization platform for advertisers and marketers, Tyson brings a lifetime's worth of entrepreneurial experience and has built an organization that is poised to revolutionize digital advertising through personalized audience targeting. Mark Sullivan leads the demand generation team at CallRail, which has generated 50% year over year new customer acquisition growth for the past four years. His background includes working on the organic search product at Yodle, starting his own growth consultancy, writing about search for publications like VentureBeat and CMO.com, speaking at various marketing conferences, and not least of which--living in a small Nicaraguan surf town for five years where he worked on marketing for several real estate, transportation, and development projects. Amy Vaduthalakuzhy is a Product Manager for YouTube performance ads, focused on building ad solutions for YouTube's search and discovery experiences, including the YouTube Home feed and YouTube Search. Amy graduated with a B.S. in Electrical Engineering from Georgia Tech and with an MBA from Duke Fuqua School of Business.